Join us at High Hops Brewery September 11th 6:15-7:30 pm for an evening of painting and brews. The price includes one free pint of Flagship beer from High Hops Brewery, step-by-step painting instruction, and your own hand painted glass. 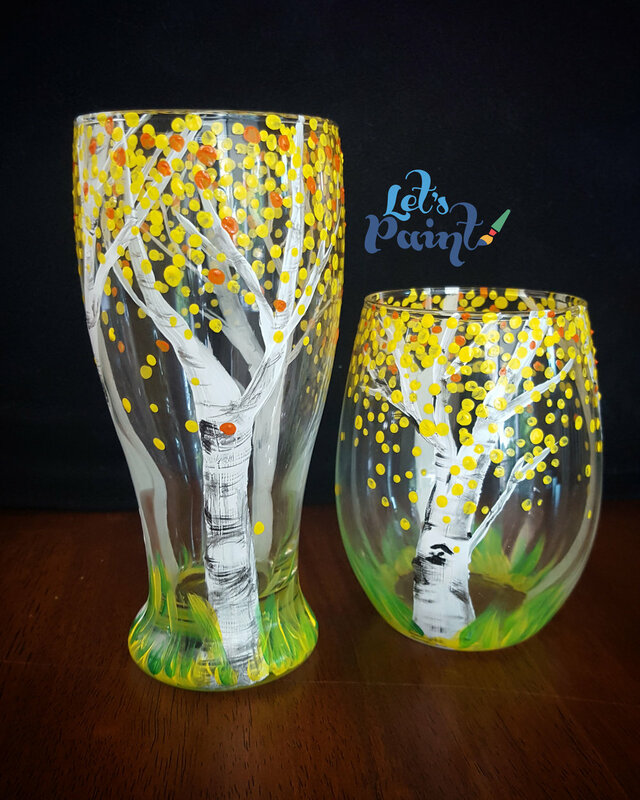 We will be painting aspen trees on your choice of glass. Please feel free to bring your own ideas and designs if you'd rather free paint. Sessions are casual, beginner friendly, and we provide easy step-by-step instructions. We are going to have a great night of creativity and brews at High Hops Brewery. Hope to see you there!